I’ve been a busy bee lately. 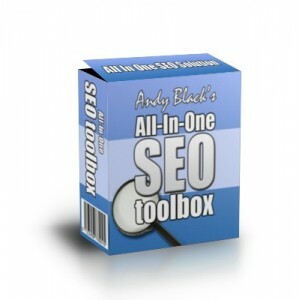 I’ve been working on a new research feature for Article Writer Pro, working on the final stages of Link ABYSS and have also been developing a brand new web app called All-In-One SEO Toolbox. The idea of this app is to give users a number of useful SEO related tools in one ‘low cost’ package. This tool will be able to do ALL of the following………. Take a keyword and automatically extract related keyword phrases from the top 30 ranking websites. Then remove duplicates and sort them alphabetically into two groups. Take a list of keywords and automatically find out how competitive each one is by showing you phrase match and intitle data. Then colour coding the results to give you a visual indication of how easy it would be to rank for each one. Take a keyword and automatically analyze the top rankings websites showing you a host of useful information such as number of backlinks, page links, page links from external websites, title tag, description tag, keyword tag, H1, H2 tags and number of onpage links among other data. Visually highlighting each element where the keyword phrase is found. Take a website url and automatically analyze it’s backlinks. Data such as the anchor text used, the linking url, whether the backlink is nofollow or dofollow, the PR of the actual linking site and also the amount of outbound links are on the linking page. The really good thing about this app is that you can use ALL of the above in a sequence starting with one seed keyword! This tool will be available soon for a very modest price. I will be offering this product at a very low price to my newsletter subscribers! To see this tool in action, please click on the link below to watch the video. Please note that this tool is not complete, but will be soon. As always, please feel free to post a comment below and maybe give any suggestions you can think of. Hi Andy, please hurry up with this. this rocks! Nothing beats having it all in one place and software. I only hope that the price will not scare the hell out of us. this looks cool and i hope to be one of the buyers. Hope you will give people on your list special preference for keeping faith with you? anyway, andy, please keep up the good work. Hey Andy, this looks great. If you are interested in a review to be posted on Webmaster Peers let me know! Really useful tool especially in the light of the latest google slap against pages with affiliate links. Google are forcing people to produce content rich well optimized pages. This tool is ideal for finding niches and optimizing your pages. I am looking forward to the finished product. Keeps every tool under one roof. Hi Andy, good to see this kind of product in the works. Been waiting for something like this that might fit in today¨s economic situation. Here´s hoping it will be competitively priced. – Once you found your keywords it would be nice to know if those keywords are high paying Adsense keywords and how many clicks per day that word gets in Adsense. – I have so much “analyzing” software. What I find the most difficult thing is to find the true strength of competition. If you could master that with more than two variables that would be great. I think you are just using the exact match and “allintitle” right? – An auto proxy feature would be nice, because it looks like it’s going to be hammering Google. I would love a feature with proxies automatically built in to it! Trust me I’ve been banned from Google several times for around a day. – Is the “Related Keywords” section equivalent to say LSI keywords? I guess right? An LSI keyword list would really benefit us as well.